We hear it a lot in our Erie gym — “New year, new me.” This positive, forward-looking attitude is something that is perfect when it comes to finally achieving the body you always dreamed of. As we head into 2019, setting a fitness resolution for yourself might seem like a cliche thing to do, but it’s something that can change your life forever if you stick with it. At Centripetal CrossFit, our personal trainers in Erie are here to help you push yourself, lose weight and tone your muscles this upcoming year. We offer everything from group classes to personal training, and we’ll provide you with workouts that you will never get bored of. Get the extra help you need to help you stick with your fitness resolution, and contact us today to get started. 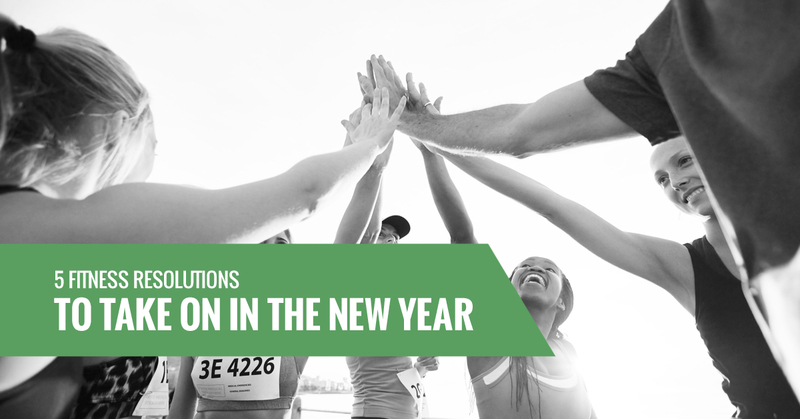 Continue reading below for five fitness resolutions you should take on in 2019. 1. Move your body in some sort of way every day. Whether you decide to go for a long walk with your dog or want to sign up for your very first CrossFit class, it’s extremely important that you move your body every day. It can be for 20 minutes or it can be for two hours — no matter what, simply moving your body each day in some sort of way can go a long way in helping you stay fit in the new year. 2. Sign up for a competition or race. If you’re the type of person who likes to have something to train for or look forward to in order to hold you accountable, try signing up for a competition or a running race. CrossFit holds its own weight-lifting competitions, which you can learn more about by chatting with one of our experienced personal trainers! Another simple resolution, but one that will improve your body’s overall health. Try swapping out any sugary drinks you like to indulge in with water, and you’ll notice a world of difference with your body. Take the time to focus on what you’re fueling your body with this year. You start small by replacing empty calorie items like chips with more nutritional snacks like peanut butter and celery. From there, you can gradually start to introduce yourself to more intensive nutrition tactics, such as meal-prepping for the week. 5. Sign up for a fitness class you’ve never tried before. Step out of your comfort zone and try a fitness class you’ve never done before, such as a CrossFit class or a local yoga class. Who knows? You might fall in love with it and become addicted. At Centripetal CrossFit, we offer both CrossFit group classes as well as personal training sessions with our experienced coaches. No matter your experience level with CrossFit or your fitness capabilities, we help individuals of all ages achieve their personal health and fitness goals. From elite college athletes to seniors who simply want to keep their bodies moving, we have all sorts of people in our CrossFit fitness family. Completely transform your body and contact us today to find a fitness program in our Erie gym that will best work for your situation. You can reach us by calling (720) 577-2833 or by completing our form online.